The Matchmaker is a funny and poignant short film that follows Sam and his mother Flora as she moves into her new retirement home (in the Independent Section, she’ll have you know). Sam is worried that his mom may succumb to Alzheimer’s disease, so to help keep her mind sharp he tries to find her a best friend who will talk about important things like poetry, and literature, and whether George Clooney is even good enough for Amal. Sam becomes a sort of eHarmony anti-Alzheimer’s matchmaker with sometimes hilarious, sometimes heartbreaking, and definitely surprising results. 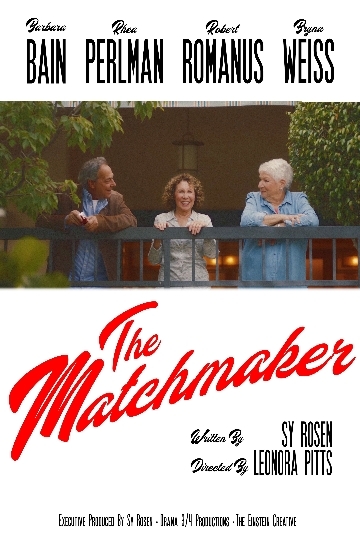 The Matchmaker celebrates the unique and vibrant atmosphere of the retirement community while conveying a sharp edge and hopeful ending. Barbara Bain, Rhea Perlman, Robert Romanus, and Bryna Weiss.